Weekly Update 2017-39: Psychedelic sounds from Toronto-based Giraffatitan, the cross-viewership of IFC's Brockmire, and Patagonia's stance on bringing new life to old clothing. I have been lucky enough to see this band play before, and their live show is really nice. Wish you could see them tonight? Well, you can! They're playing as part of a public birthday party-turned-concert at the Smiling Buddha tonight. Details here. 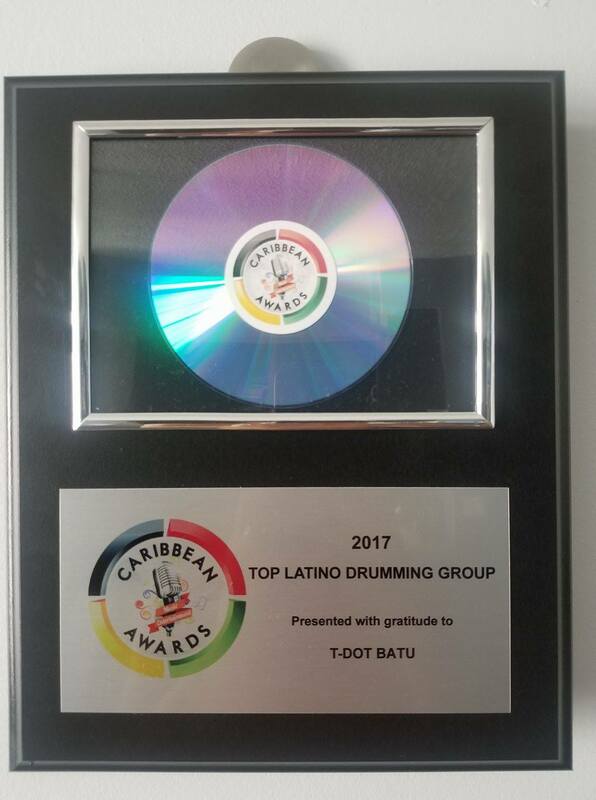 After a summer of back-to-back shows, tons of hours of practices and a team-bonding camping trip, my drumming band TDot Batu has won the award for best Afro-Brazilian Drumming band in the 2017 Caribbean Music Awards! It's so wonderful to see that other people love what we do as much as we do. I really put my heart and soul into playing with the band and this is just the cherry on top of a glorious summer spent having fun with a group of amazing people I call friends. It's getting closer and closer to the date of my bat mitzvah! I'm currently hard at work writing my D'Var Torah, the speech I will present that relates to my learnings of the torah portion and my year of study. It's coming along well, but I am happy to have an appointment at the synagogue tomorrow to work further on it. I very rarely use Uber, but I needed one very early in the morning last week. As soon as I opened the door, the driver exclaimed a loud and cheery good morning to me. I understand he was probably up much earlier than me and really jacked on coffee, but how can someone expect others to appreciate this kind of behaviour so early in the morning? The radio was also blasting rather loudly, so I considered a possible way that I might get to nap during the ride as I originally intended. I took the most direct approach possible, and stated, "It's still pretty early for me, I'm going to take a nap. I know you'll pick the best route, that's all you, man!" The driver was very nice and immediately turned off the radio completely, even though I didn't mention the radio at all. The "compromise" - letting the driver be in charge of his route - was partially also related to a sketch I saw recently on Portlandia about how to get a five-star Uber rating, so big shoutout to that show for helping as well. Success! I've been sitting on a couple of simple app ideas for a while, that could be a simple day-long exercise for me to practice working out ideas quickly and efficiently in a set timeframe. This week I'll be writing out the brief for such an exercise, and completing the exercise on Thursday. I think I've narrowed down the idea to either a travel packing app, or a data manager for iOS 11 (since Android has such a wonderful one ALREADY BUILT IN). I'd also really like to get something together to enter into the 4th Annual Swash & Serif exhibition, which focuses on typographic pieces. I check out the work every year and since I have some creative time on my hands, why not put it into something with a high profile? I have about three weeks to make something really good, so let's see what I can come up with. Always a champion of the underdog (when it comes to television, anyways), I have found my new favourite show. Starring Hank Azaria (master-level voice actor of The Simpsons fame) and Amanda Peet, the show is fast-paced, witty enough to be watched at least twice through, and pokes dark fun at many complex problems faced by lower-class Americans today. Jim Brockmire (Azaria) is a disgraced major league baseball announcer, ten years later trying to remake his former glory by announcing for a minor league team owned by Jules James (Peet). James is a resourceful, quirky and charming woman who is surprisingly able to hold her own against Brockmire's stinging witticisms and drunken bouts of depression as they try to bring the hicktown Morristown Frackers (yep, that's their team name) out of the minor leagues and into the homes and hearts of America. Much as I really don't care at all about baseball, I think the real beauty of the show is its ability to provide something for a diverse cross-section of viewers. The baseball content is accurate and smart (from what I'm told), and there is some slapstick/f-bomb-dropping humour, but the balance of smart and dumb comedy with dark themes and the inner struggles of each of the main characters is what draws me in and keeps me hooked. And if you know anything about Hank Azaria's voice and delivery, you know you'll be rolling on the floor laughing. Especially the season finale (no spoilers ahead) had me laughing out loud almost through the whole thing, and left me on such a cliffhanger that I won't be satisfied until the next season comes out next year. As I approach 250 five-star reviews on the Bunz Trading Zone app, it's no secret that I am a big fan of the reduce, reuse, recycle mantra. I am excited to see that larger companies are also taking part in the effort to reduce waste and lower our carbon footprint. Patagonia has launched a program called Worn Wear wherein customers can exchange their used Patagonia merchandise for a credit towards something new (or new-to-them) from the store. This donated clothing is then cleaned and restored to better-than-new condition and resold at a lower price by Patagonia on their Worn Wear online store. 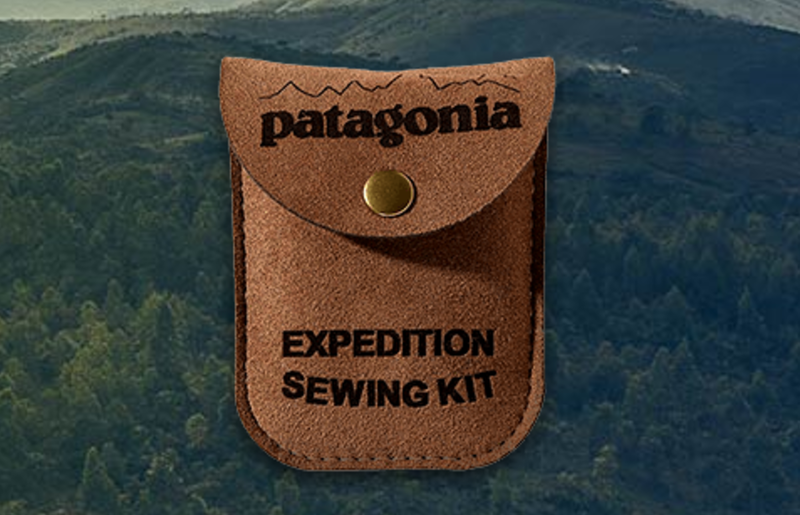 This cycle is one that all clothing companies should follow, and I think Patagonia executed it quite well. They discuss the idea of sharing stories and memories associated with each item, and that giving the pieces new life allows their stories to continue. Of course, if your item breaks or tears and you don't want to let it go, Patagonia also provides extensive care and repair instructions on their website. They even sell a cute little sewing kit for fixes on-the-go!